The signs coming out of HSBC are ominous. Customers attempting to withdraw relatively sizeable amounts of cash from their bank accounts have been refused access to their own money because they apparently could not justify to the bank why they needed - their own money. Stephen Cotton told the BBC Money Box programme that he had attempted to withdraw £7,000 to pay back a loan from his mother. When he complained – perhaps venturing that it was none of HSBC’s f***king business what he did with his own money, the bank came back with a high handed corporate response. "As this was not a change to the Terms and Conditions of your bank account, we had no need to pre-notify customers of the change”. Meaningless sophistry from the world’s local bank. Another customer actually gave his bank notice saying he needed 10,000 in cash on a specific day. Before he could collect it however, he was telephoned and pressured into providing receipts and paying by bank transfer. This new policy has been ringing alarm bells about the financial health of HSBC. 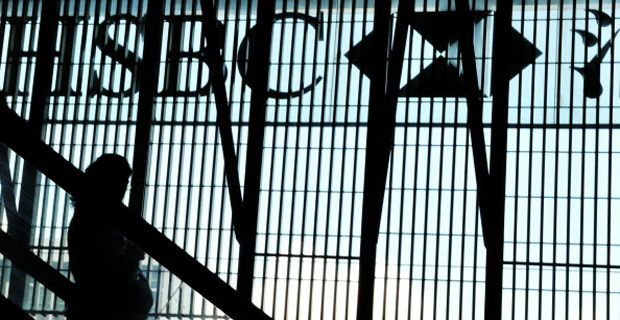 Two Hong Kong based analysts have criticised HSBC of "overstated earnings, inadequately capitalized balance sheets, legal and regulatory problems" and suggested that the bank may need a capital injection / public bailout of 111 billion. HSBC have now beaten a strategic retreat on bullying their customers over what they choose to do with their cash, but the suspicion that they are trying to prevent a ‘run’ on their accounts and hold on to hard currency has now taken hold. Which ultimately may be far more damaging than handing over the cash.